In 1950, Frank K Warnock graduated from the University of Kentucky School of Law and decided to return to his hometown of Greenup, Kentucky to start practicing law. Upon his return, he established the strong foundation of legal excellence that continues in Greenup County more than sixty years later. The firm of Warnock & Warnock was established, as it exists today, after the second generation of the firm, Frank Hill Warnock, graduated in 1974 from the University Of Kentucky School of Law and served on the Kentucky Law Journal. He then returned to Greenup, Kentucky, to join the family legacy. The father/son combination worked tirelessly to provide excellent legal assistance to the people of Eastern Kentucky. Finally, in 2004, after spending several years practicing in Louisville, Kentucky, the third generation, Matthew J Warnock, returned home to Greenup, Kentucky, to continue and expand the family business. 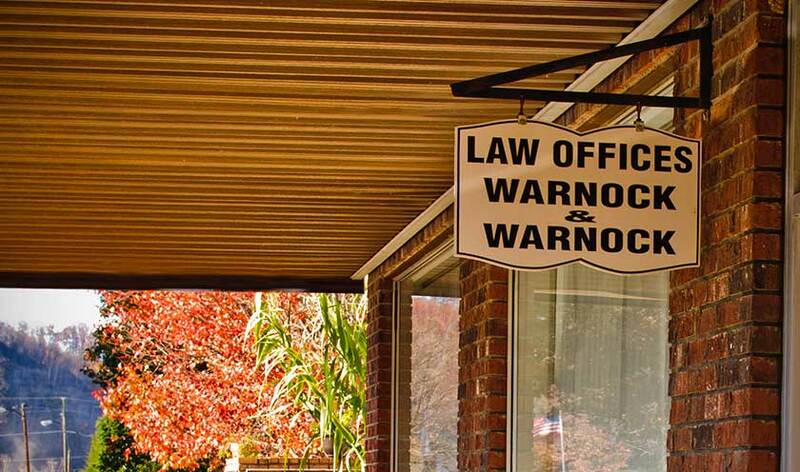 Warnock & Warnock continues to provide Eastern Kentucky with many facets of legal knowledge ranging from family law, personal injury law, and wills/estates. The firm believes in putting the client first and providing legal help in a times of need. If you are in need of a lawyer, consider the law firm that has served in and around the areas of Ashland, Russell, Flatwoods, Raceland/Worthington, Greenup, South Shore and Vanceburg in Greenup, Boyd, Carter and Lewis counties in Kentucky for almost sixty years and three generations.